Efi Christopoulou, head of the Kotinos jury, a chemist, olive oil tasting (organoleptic) expert for the International Olive Council (IOC), and one of the pioneers of the organoleptic method, emphasized the Kotinos Competition’s reliability. Christopoulou reported that companies from 17 different parts of Greece won prizes, suggesting that a focus on excellent quality has spread throughout the nation. 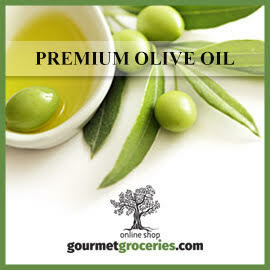 Awards were given out to olive oil in three categories: organic, PDO – PGI, and conventionally produced; both robust intensity and medium intensity oils were awarded in each case (since no delicate EVOOs had been contending for prizes). Papadopoulos - Mediterre & SIA EE was the top winner at this year’s Kotinos Competition, with two Gold Awards for robust intensity EVOOs in the organic and PDO - PGI categories: Mediterre Alea Organic and Mythocia Early Harvest Olympia PGI. (This followed two Extra Gold Awards at BIOLNOVELLO 2018.) Eva Papadopoulou stressed the importance of taking great care throughout the olive oil production process, “from the tree to the bottle,” applying lessons learned through continuing education. 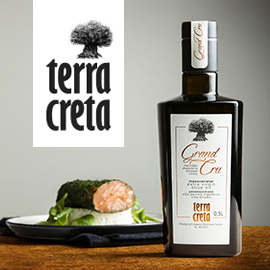 Their team also works with less common Greek olive varieties; aside from the popular Koroneiki, they use Kollyreiki and Nemoutiana, creating both blends and monovarietal olive oils. 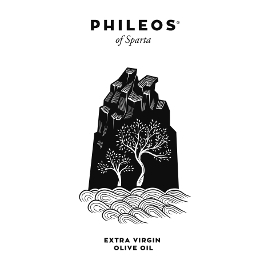 Coming from olives grown around ancient Olympia in Ilia (Elis), their prize winning EVOOs have aromas of artichoke, tomato leaves, and fresh cut grass. Vangelis Varaklas agreed that education is “a very powerful tool that helps us get even better at what we do.” A Gold Award for Delicious Crete’s Red Sparrow EVOO the first time it entered a competition supports that claim, since Varaklas believes “it’s the first time I know what I’m doing” with an EVOO, although his flavored olive oils have already won several prizes. Varaklas and his wife Aphrodite Katsoulaki used to be interior designers, but they changed their profession during the Greek economic crisis, developing the Delicious Crete brand “to share with the whole world the best things our island had to offer.” Delicious Crete’s blend of Koroneiki, Amfissis, and Tsounati oils was part of an unusual three-way tie for the Gold Awards for conventionally produced robust intensity EVOOs. Kyklopas Estates’ robust Early Harvest Extra Virgin Olive Oil also won a Gold Award. Valia Kelidou told Greek Liquid Gold that Kyklopas combines the new generation’s education with her parents’ 40 years of experience cultivating the local Makris olive variety in northeastern Greece. Along with hard work and attention to detail, it also “helps very much that we have control of every step in the production process,” from cultivation to packaging. “We are not buyers; we are producers, and I think this is very important to guarantee the quality” that has earned them 81 awards, including a Gold for quality at the Monocultivar Olive Oil Competition in Milan this year and “the highest ranking of any Greek olive oil ever in the EVOO World Ranking,” #33 in the world for 2018. The third Gold Award for a robust conventionally produced EVOO went to Nikolaos Maroulakos at Malva for Lidrivio Premium Extra Virgin Olive Oil. Nikolaos’s brother Kiriakos Maroulakos explained to Greek Liquid Gold that Malva is a family business focused on quality, not on quantity. Their Koroneiki and Athinolia blend is very high in healthy polyphenols, with just 0.2% acidity. Fortunately, their 3,000 olive trees in the Monemvasia area of Peloponnese had no problems with pests or weather this year. 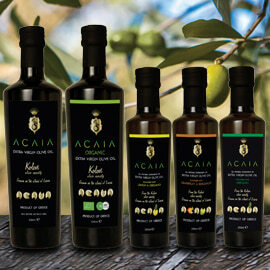 They export 95% of their EVOO, all standardized, to the USA and Europe. 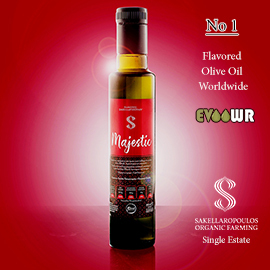 Nik Priftis & Sons took home the Gold for a medium intensity conventionally produced EVOO for their Verus Hellenic Premium Monovarietal, a Maronias EVOO from Alexandroupolis in northeastern Greece. A small “traditional company which has been in the EVOO production business for five generations,” according to Dimitris Priftis, Nik Priftis & Sons works with oil from several olive varieties, including the little-known Klonara. Based in eastern Attica, they use “methods which we have perfected through constant tests over the years,” including an early harvest of the unripe fruit in October using hands and hand-held harvesting instruments and careful milling and storage procedures, with controlled temperatures and nitrogen to keep out oxygen. Thanks to the Filaios Friends of Olive Oil Society for the photos of the winners. 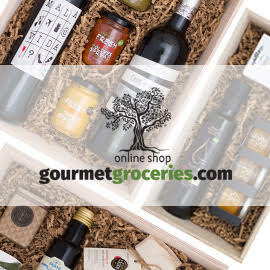 All businesses, organizations, and competitions involved with Greek olive oil or agrotourism or food tourism in Greece are now invited to consider new advertising and sponsorship opportunities on the Greek Liquid Gold: Authentic Extra Virgin Olive Oil website, which reaches readers in 184 countries around the globe.